Spring doesn’t just signal warmer weather, but for watch enthusiasts, it also means the start of the vintage watch auction season. Led by superstar auctioneer, Aurel Bacs, Phillips has set some incredible records in the vintage Rolex market recently, with no signs of slowing down. Phillips just announced their Geneva Watch Auction: Five event. Slated to take place over two days, May 13 – 14, 2017, in Geneva, Switzerland, all eyes in the vintage watch world—and beyond—will be upon Bacs to see what kind of records he will achieve this time. Here are some exceptional Rolex watches scheduled to be at Phillips Spring Auction 2017 block during the Geneva sale. Pre-sale estimate: $1,500,000+A unique piece, the Rolex ref. 6062 holds legendary status in the vintage Rolex community. Not only is it one of only three known examples of the yellow gold Rolex triple calendar with a black dial, it’s the only one with diamonds at 2, 4, 8, 10, and 12 o’clock. What’s more, His Majesty Bao Dai, the last emperor of Vietnam, was a previous owner of this particular Rolex ref. 6062, hence its nickname. 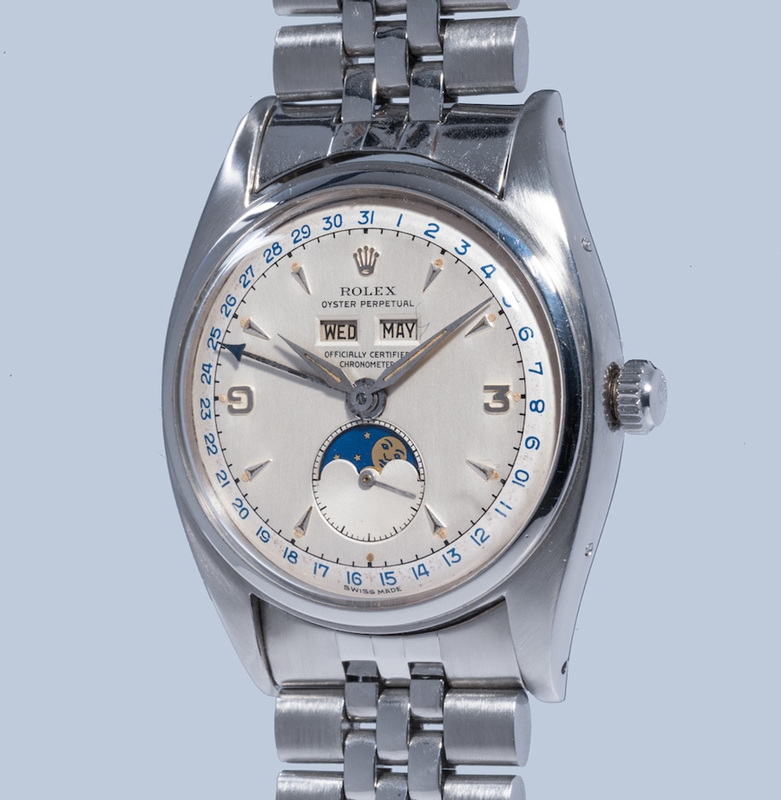 According to Phillips, the emperor bought the watch in 1954 while in Switzerland for the Geneva Conference. The Rolex ref. 6062, in general, is already a highly sought-after reference but given the one-of-a-kind dial and royal ties, it’s estimated that the watch will fetch over $1.5 million! In fact, the last time it was sold in 2012 for $235,000, it was the most expensive Rolex ever sold at auction. Now that’s an incredible vintage Rolex investment if we ever saw one. 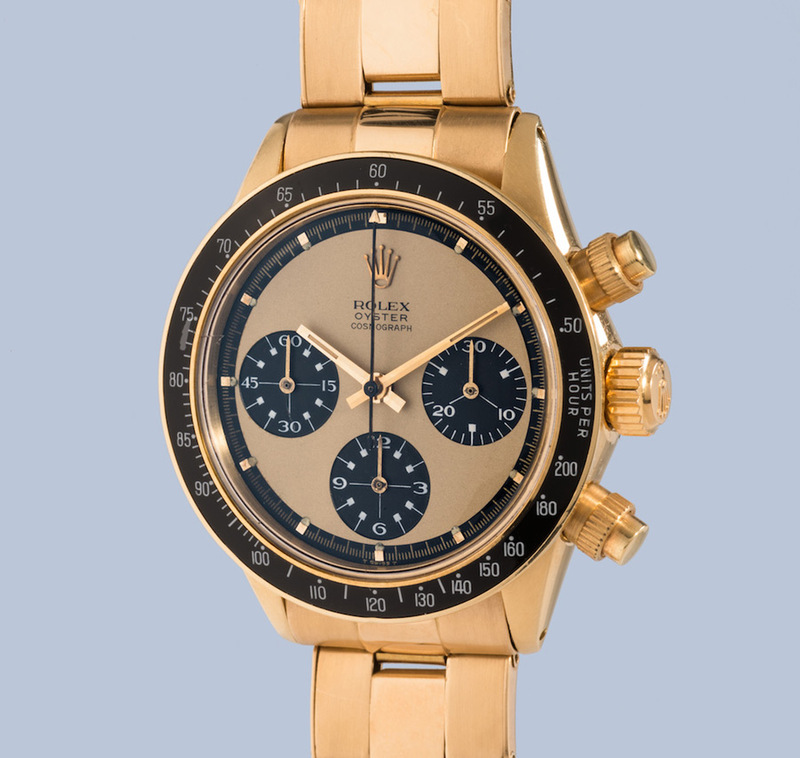 Widely regarded as the most valuable yellow gold Daytona Paul Newman, this ref. 6263 is aptly nicknamed the Legend. 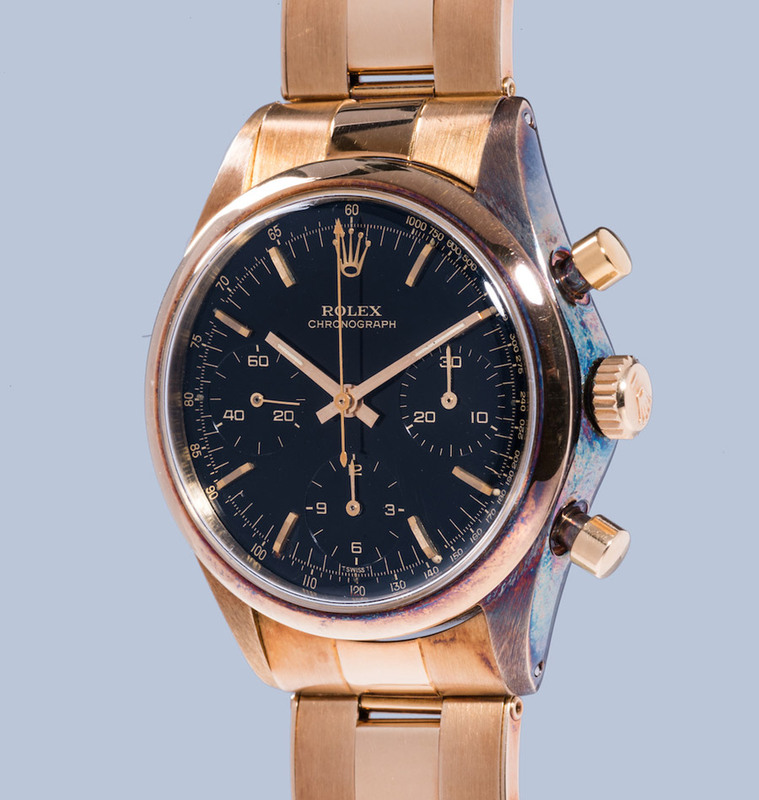 Circa 1969, this Daytona Paul Newman ref. 6263 boasts the highly prized lemon dial, in addition to the screw down pushers. It’s actually one of only three Paul Newman Daytona chronographs with screw-down pushers to have surfaced in the vintage market. Phillips is selling another Rolex Triple Calendar ref. 6062, but this time in stainless steel, circa 1953. The two-tone dial is stunning with the 31 days of the month in blue around the periphery of the dial. At 6 o’clock sits the moonphase display, while the day and month windows are under 12 o’clock. Due to its rarity and condition, we wouldn’t be surprised if it sold for a price at the top of its estimate range. Rolex Daytona ref. 6241 Paul Newman “John Player Special” Tiffany & Co.
Nicknamed so for its resemblance to the JPS Formula 1 livery, this is the first time this Daytona ref. 6241 “John Player Special” retailed by Tiffany & Co. appears at the auction market. In fact, this particular ref. 6241 in 14k gold from 1968 might be a unique piece. This vintage Rolex chrono has so many things going for it—it’s a Daytona Paul Newman, it’s a John Player Special, and it has the coveted Tiffany & Co. signature on the dial—it’s almost unfair. 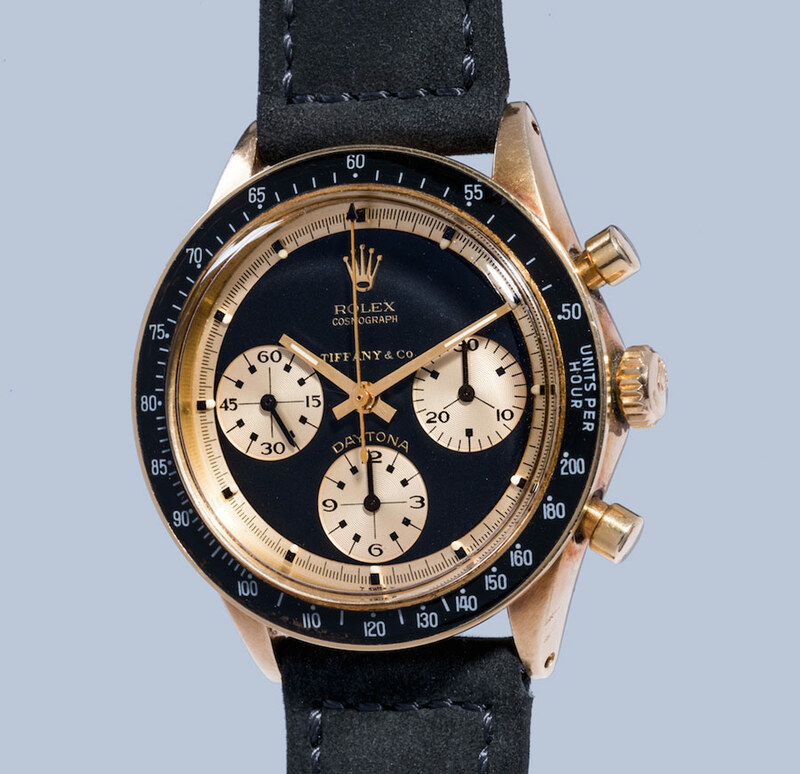 Before the Cosmograph Daytona became the flagship Rolex chronograph, the brand had other chronograph watches including this ref. 6238, circa 1967. As a sports watch, finding a 14k yellow gold version of the ref. 6238 is ultra rare. But the watch’s most striking feature is the galvanic black dial. It’s said that this is only the second example ever to have surfaced in public. Ahead of the highly-anticipated Geneva auction, Phillips will be hosting previews in Hong Kong (1 to 4 April), London (8 to 11 April), New York (21 to 24 April), and Geneva (11 May). So if you find yourself in the neighborhood, make sure you check out these exceptional vintage Rolex examples before they shatter existing records. 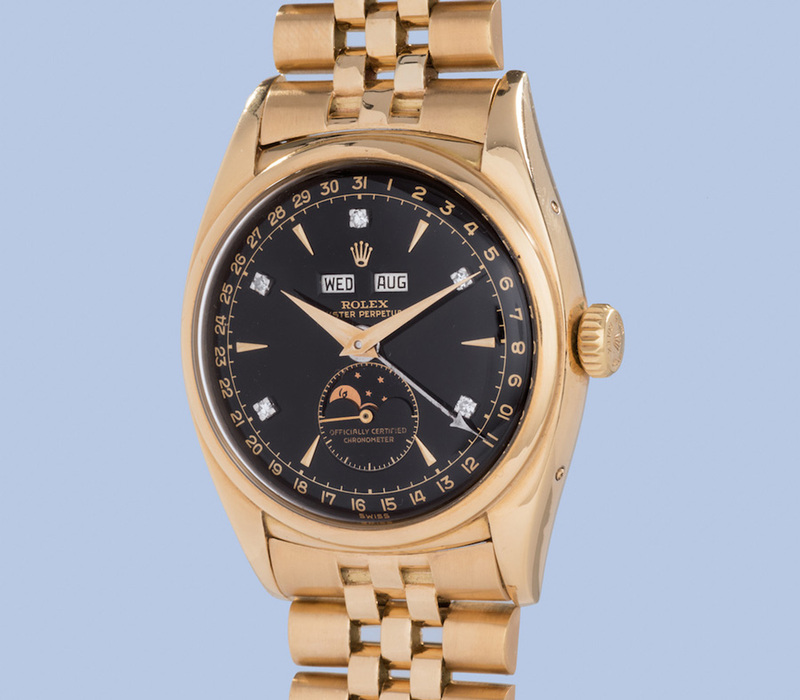 Of these five incredible vintage Rolex pieces, which is your favorite? Do you think the Rolex Triple Calendar Ref. 6062, “Bao Dai” will sell for over $1.5 million?